Welcome to Danny’s Little Taste of Texas. The true flavor of Texas BBQ can be found right here in Connecticut. Danny’s Little Taste of Texas is known for their mouthwatering barbecue catering service which covers all of CT. We prepare authentic Texas BBQ by dry rubbing all of our choice cut meats. We use or own special spices and slow cook for up to 14 hours. We are not a chain restaurant or franchise. 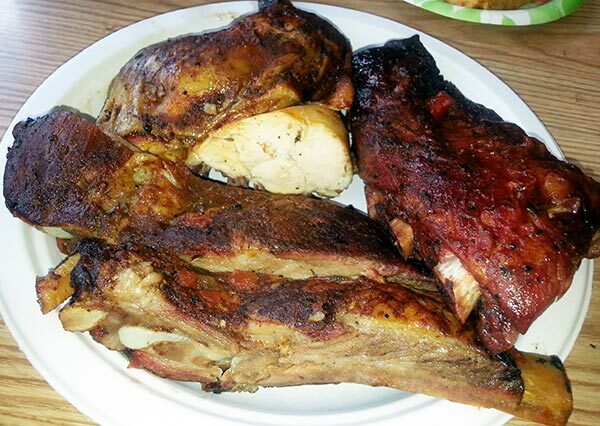 Danny’s Little Taste of Texas serves our own handmade BBQ style food which is wood smoked and full of flavor! Danny’s Little Taste of Texas can make your special event a memorable one. All it takes is a quick call and we’ll bring the Chuck Wagon wherever you are. Slow cooked meats, sides, rolls, desserts, drinks and utensils - whatever you need, and however much you want. We offer a Texas-sized variety of menu options and our friendly staff will even set it up for you. Thank You for visiting us online, we look forward to catering your next CT event soon! We can accommodate 2 to 2000 guests.